Today is an exiting day – first seeds of 2013 are planted, marking the start for a new growing season! Come on, spring! Can you tell that I am a wee bit exited? I know, gardeners in the South are already planting their gardens while I am just starting my first seeds indoors, but our last frost day is still more than two months away – so no rush here ;). 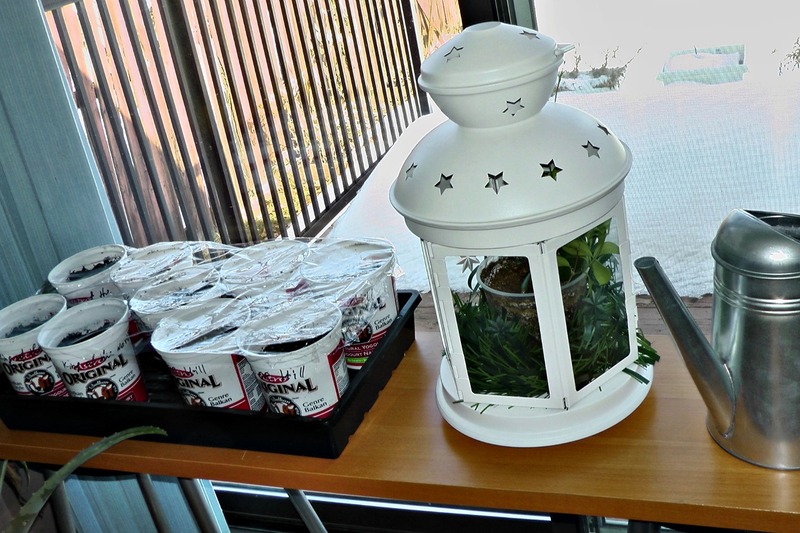 You can read more about how I start plants indoors here. This year I did not start any early tomatoes. They tend to take over our house. So I am learning to be more patient. At the beginning of April I am planning to start the tomato plants. 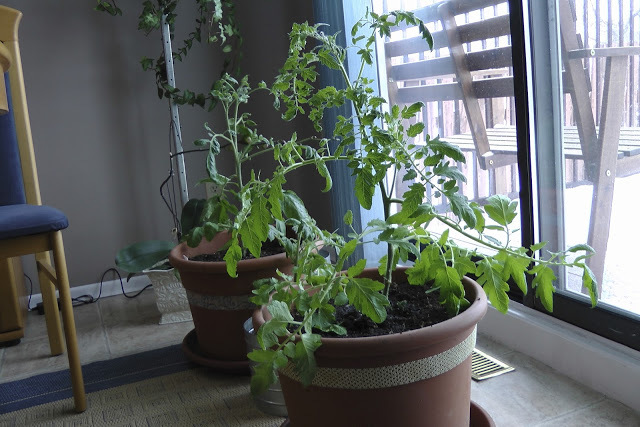 Spring 2011, the 3 early tomato plants – big and healthy but still in the house. Today I started the pepper plants. This year I am trying out 3 heirloom pepper varieties. I’m still looking for the perfect pepper to grow in the north. The descriptions of these peppers sure sound promising. I’m looking forward to seeing how they will do.